UNN departmental cut off mark for 2018/2019 with cut off mark for Educational less developed states and catchment states. 2018 UNN departmental Cut Off Mark is Out! So many candidates who seek for admission in the University of Nigeria have been searching online with a lot of questions as to when UNN, Nsukka will Release her cut-off mark or what the Cut off mark would be for 2018. Departmental cut off mark is the minimum cut off mark for admission into various departments in a particular University. This cut off mark is usually available after the release of the school’s post UTME screening. The management of University of Nigeria, Nsukka, has release the departmental cut-off mark for 2018/2019 Admission exercise. However, the UNN departmental Cut off mark is not made public but an insider who is reliable made the departmental cut off mark for various courses known to us. Candidates are to check below for details on UNN departmental cut off mark for various courses. This post will be useful to all those who are looking for UNN cut off mark for medicine, law, Medical Laboratory Science, UNN cut off mark 2018/2019, UNN cut off mark for all courses, UNN screening cut off mark, UNN departmental cut off mark 2018/2019, UNN cut off mark 2018. Here is the UNN departmental Cut-off mark for all Courses for 2018 admission. LOCALITY/Catchment: Anambra is 266.83, Enugu 269.17, Imo 266.83, Abia 254, Delta 244.67, Akwa Ibom 223.83, Ebonyi 258.82. UNN departmental Cut Off Mark above is what we have for now. Cut Off Mark for other departments in UNN will be updated later…………………………… So, please check back later if your department is not among the department above. You can post your department in the comment box below so that I can add it if it is not on list of departmental cut off mark above. 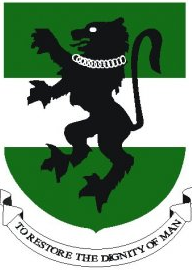 The list of UNN departmental cut off mark for 2018/2019 Admission is yet to be publish on UNN website.